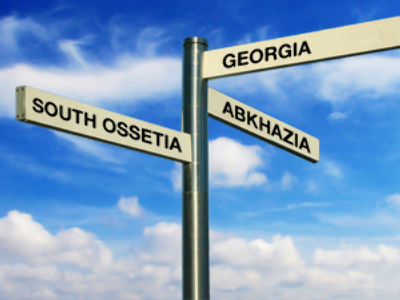 The Russian media are commenting on recommendations not to visit Georgia and new rules of sending telegrams to South Ossetia and Abkhazia. The Russian Foreign Ministry has cautioned Russian citizens against traveling to Georgia. Individuals visiting Abkhazia and South Ossetia without official permission from Tbilisi may be fined or imprisoned if they turn up in Georgia, Foreign Ministry spokesman Andrey Nesterenko said in a statement on Wednesday. He cited Georgia’s laws regarding foreigners’ trips to the two republics. The authorities in Tbilisi have described the statement as part of the “anti-Georgian campaign.” “It would be a good idea if they urged their nationals to refrain from illegally crossing the Georgian state border,” Deputy Foreign Minister Nino Kalandadze said on Wednesday. The Georgian Foreign Ministry issued a statement on Thursday condemning Russia’s releasing of a series of maps depicting Abkhazia and South Ossetia as independent states. Moscow recognized their independence in August 2008 following an armed conflict after Tbilisi’s aggression against South Ossetia. “Legitimizing the so-called ‘independence’ of these regimes has become an obsession for Russia,” the Georgian Foreign Ministry said, commenting on the alleged 4,000 maps. Officials in Tbilisi do not know who these maps are intended for, but Russian media assume they could be useful for travelers as they really risk being persecuted in Georgia. “In accordance with the Georgian laws, officials in Tbilisi issue permissions on visiting neighboring Abkhazia or South Ossetia,” Trud daily said. Those crossing borders of the two republics without permission are considered “trespassers who crossed Georgia’s border in its Abkhaz and South Ossetian parts,” the paper said. “This order has been in force since the nineties when then-President Eduard Shevardnadze closed borders of the two republics with Russia,” it added. The Russian Foreign Ministry issued its recommendations to refrain from trips to Georgia back in 2009, the daily noted. 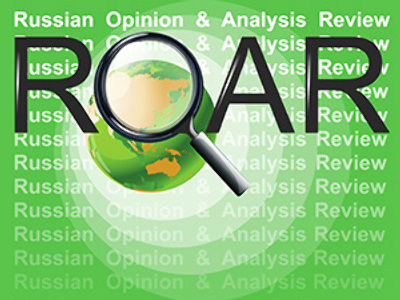 Russian citizens could become the object of provocations, the ministry explained. 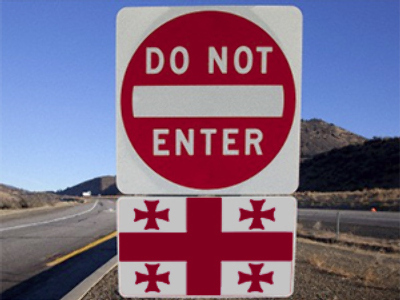 However, Russians who still want to enter the two republics after getting permission from Tbilisi will not be able to obey Georgia’s rules, Moskovsky Komsomolets daily said. The situation is more difficult for citizens of other countries who should produce their foreign passports, and Russian border guards make records in them. “But Abkhaz or South Ossetian border guards say they do not stamp foreigners’ documents in this case,” the paper said. 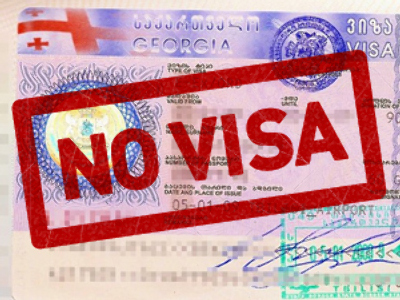 At the same time, the Georgian authorities often “decide themselves arbitrarily who has visited the republics,” the daily noted. “A group of known Russian journalists was denied entry to Georgia for just this reason,” it noted. The journalists, however, said there were no stamps in their documents evidencing they had crossed the border. Russian citizens may think twice about traveling to the region, but now they are able to send a telegram directly to South Ossetia, not via Georgia. The Russian central telegraph office “has recognized South Ossetia after two years,” Regnum news agency said on Thursday. In accordance with the order of the Ministry of Communications, now the address for telegrams to the republic’s capital sounds like “South Ossetia, Tskhinval” rather than “Georgia, Tskhinvali.” South Ossetia also got its international index for telegrams. The telegrams to Abkhazia will be sent according to the same order. The agreements between Russia and the two republics were concluded several months ago, but now they officially came into force.